"ایک لمبے عرصے بعد ہم سب مر چکے ہوں گے۔"
"In the long run we're all dead"
"تقریباً صحیح ہونا عین غلط ہونے سے بہتر ہے۔"
"پیسہ درحقیقت حال اور مستقبل کے درمیان کی ایک کڑی ہے"
"مسلسل نوٹ چھاپ کر حکومت نہایت خاموشی اور رازداری سے اپنے عوام کی دولت کے ایک بڑے حصے پر قبضہ کر لیتی ہے۔ اور صرف قبضہ نہیں کرتی بلکہ جتنا چاہے اتنا قبضہ کرتی ہے۔ یہ طریقہ اکثریت کو غریب بنا دیتا ہے مگر چند لوگ امیر ہو جاتے ہیں۔"
"By a continuing process of inflation governments can confiscate, secretly and unobserved, an important part of the wealth of their citizens. By this method they not only confiscate, but they confiscate arbitrarily; and, while the process impoverishes many, it actually enriches some." "حقیقت یہ ہے کہ 1899ء سے (1913ء تک ہندوستان میں) سونے کی قیمت کے استحکام کی بڑی وجہ حکومتی کنٹرول ہے"
اپنی کتاب A Tract on Monetary Reform میں کینز نے لکھا "حکومت جو بھی خرچے کرتی ہے اس کا بل عوام بھرتے ہیں۔ صریح خسارہ کوئی چیز نہیں ہوتی۔"
ہندوستانی کرنسی کے نظام کے بارے میں 1913 میں کینز کا کہنا تھا کہ" ہندوستان کی حکومت کے موجودہ نظام کی کوئی منطق نہیں ہے۔ اسے سمجھنا بہت ہی مشکل ہے اور اس وجہ سے اکثر اس بارے میں کافی غلط فہمی پیدا ہو جاتی ہے۔"
The Government of India’s present system has no logical basis, is exceedingly difficult to understand, and has often led, in consequence, to a good deal of misunderstanding. "لینن یقیناً درست تھا۔ معاشرے کی بنیادیں اکھاڑنے کے لیے اس سے زیادہ خفیہ اور موثّر کوئی طریقہ نہیں ہے کہ کرنسی کے ساتھ زیادتی کی جائے۔ یہ عمل معاشیات کے سارے قوانین کی خفیہ طاقتوں کو تخریب کے لیے استعمال کرتا ہے اور وہ بھی اس طرح کہ دس لاکھ لوگوں میں ایک آدمی بھی اسے سمجھ نہیں پاتا"
1913 میں اپنی پہلی کتاب میں کینز نے لکھا تھا کہ"حالیہ دنوں میں ہندوستان میں ہونے والی مہنگائی نے یہ بالکل واضح کر دیا ہے کہ کرنسی کی گرتی ہوئی قوت خرید معاشرے کے بہت بڑے حصے کو کئی طرح سے نقصان پہنچاتی ہے اگرچہ کہ یہ عارضی طور پر چند لوگوں کے لیے منافع بخش ہو سکتی ہے۔"
The recent spell of rising prices in India has shown clearly in how many ways a depreciating currency damages large sections of the community, although it may temporarily benefit other sections. 1913 میں کینز نے لکھا کہ "پچھلے 60 سالوں میں ایک اندازے کے مطابق ہندوستان میں لگ بھگ 20 کروڑ تولے (2190 ٹن) سونا جذب ہو گیا۔ چاندی اس کے علاوہ ہے۔ اس میں وہ سونا شامل نہیں ہے جوپہلے سے ہندوستان میں موجود تھا۔"
India, as we all know, already wastes far too high a proportion of her resources in the needless accumulation of the precious metals. The Government ought not to encourage in the slightest degree this ingrained fondness for handling hard gold. By the elimination of both precious metals, to the utmost extent that public opinion will permit, from amongst the hoards and the circulation of the country, they ought to counteract an uncivilised and wasteful habit. "اگر کبھی ایسا وقت آیا جب ہندوستانی لوگ اپنی سونا جمع کرنے کی غیر سود مند عادت کو ترک کر دیں اوراپنے اثاثے صنعت کاری اورزراعت کی ترقی پر خرچ کریں تو دنیا بھر کی مالیاتی مارکیٹیں (لندن کی بجائے) ہندوستان کے رحم و کرم پر ہوں گی۔"
if a time comes when Indians learn to leave off their unfertile habits and to divert their hoards into the channels of productive industry and to the enrichment of their fields, they will have the money markets of the world at their mercy. "غیر محسوس طور پر (قانون میں موجود) لفظوں کے مطلب بدل چکے ہیں جو پرانے (مالیاتی) نظام کو مشکلات میں کچھ سودمندی کا موقع فراہم کرتے ہیں۔"
but by unforeseen chance the words have changed their meanings, and have permitted the old system to acquire through inadvertence a certain degree of usefulness. ہندوستان میں چاندی کی کرنسی ختم کرنے اور اس کی جگہ کاغذی کرنسی رائج کرنے کے لیے برطانوی حکومت نے 1893 میں چاندی کا روپیہ بنانے والی ٹکسالیں بند کر دیں تھیں۔ لیکن عوام میں چاندی کے روپے کی طلب برقرار رہی۔ اس مسئلہ کو حل کرنے کے لیے 29 اپریل 1898 میں Fowler Committee بنائی گئی جس کی سفارش پر گولڈ ایکسچینج اسٹینڈرڈ نافذ کیا گیا۔ اس طرح ہندوستان میں بھی کاغذی کرنسی کی راہ ہموار ہو گئی۔ کینز کے الفاظ میں"1899 سے ہندوستان میں (کاغذی) کرنسی کے نظام نے بڑی تیزی لیکن خاموشی سے ترقی کری"
The evolution of the Indian (paper) currency system since 1899 has been rapid, though silent. "سونا بین الاقوامی کرنسی ہے لیکن ملکی کرنسی نہیں ہے۔"
Gold is an international, but not a local currency.
" ہندوستانی کرنسی کا سوال کچھ دلچسپ بن گیا۔ (ہندوستان کی پارلیمنٹ کے ) ارکان ایک دوسرے سے سے پوچھتے رہے کہ "گولڈ اسٹینڈرڈ ریزرو" کیا ہے۔ اور جب اخبارات میں لکھنے والوں نے انہیں بتایا کہ "گولڈ اسٹینڈرڈ ریزرو" میں کوئی سونا نہیں ہے تو وہ بجا طور پر خوفزدہ ہو گئے۔ مزید جانچ پڑتال سے کچھ اور حقائق سامنے آئے جن کا شبہہ بھی نہ تھا۔ یہ انکشاف ہوا کہ لندن کی مالیاتی مارکیٹ کے سب سے اہم ارکان کی ایک بڑی تعداد یہودی ہے اور ہندوستانی حکومت کے خریدے ہوئے برطانوی کاغذی اثاثوں (کونسولز) کی قیمت کافی گر چکی ہے۔ اس بات پر کافی توجہ دی گئی کہ لندن میں رکھی ہندوستانی رقومات، جوکافی اتار چڑھاو کے بعدپچھلے سال کافی بڑھ چکی تھیں، بہت ہی کم شرح سود پر غیر ملکیوں کو اُدھار دے دی گئیں۔ پارلیمنٹ کا ایک عام ممبرکس طرح یقین کر سکتا تھا کہ کچھ یہودی بین الاقوامی بینکاروں کا گروہ اُن ہندوستانی عوام کا خون نہیں چوس رہا ہے، جن عوام کا وہ نمائیندہ ہے؟"
It turned out that they had made insufficient allowance for the deep interest which the House of Commons takes in suggestions of personal scandal. The question of Indian currency became almost interesting. Members asked one another what the Gold Standard Reserve might be, and, when writers in the Press told them, were duly horrified to learn that it contained no gold. Closer inquiry elicited further facts unsuspected hitherto. It was discovered that a number of the most prominent members of the London Money Market were Jews, and that the Government of India’s holdings of Consols had depreciated in market value since they were bought. But attention was specially concentrated on the fact that the cash balances held in London, after fluctuating considerably from time to time, had risen for a year past to an unusually high level, and had been lent out at low rates of interest  to persons many of whom bore foreign names. How was the ordinary member of Parliament to be sure that some cosmopolitan syndicate of Jews was not fattening at the expense of the ryots of India, whose trustee he had often declared himself to be? Indian currency is too complicated a subject to be mastered at a moment’s notice; and many persons, without paying much attention to random charges of corruption, felt, quite legitimately, that there was a great deal going on of which they had no conception, and that they would like to be fully satisfied for themselves, and not merely on the word of the officials, that everything was really in order. The situation in its fundamentals has arisen before, and will arise from time to time in the future so long as the relations of the House of Commons to India combine in a high degree responsibility and ignorance. unsuitability of the sovereign, by reason of its high value, for so poor a country as India. "جب موجودہ حالات میں ان کی ضرورت پڑتی ہے تو سوورین کے سونے کے سکے انڈیا کی طرف کھنچے چلے آتے ہیں۔"
"سوورین کے سونے کے سکے مقبول ہوتے جا رہے ہیں اور ان کی گردش بڑھ رہی ہے۔ وہ بازار میں بطور کرنسی قبول کر لیے جاتے ہیں جو لوگوں کی ذہانت کی عکاسی ہے۔"
Perhaps we may fairly sum this evidence up by saying that it goes to show the existence in India at the present time of an enormous demand for gold bullion, a very considerable demand for sovereigns for purposes of hoarding، and a relatively smaller demand for them, chiefly confined to the United Provinces, the Punjab, Madras, and Bombay, for purposes of currency. The Committee of 1898 explicitly declared themselves to be in favour of the eventual establishment of a gold currency. This goal, if it was their goal، the Government of India have never attained. The prophecy of 1898 by Mr. A. M. Lindsay, in proposing a scheme : "This change” he said, "will pass unnoticed, except by the intelligent few, and it is satisfactory to find that by this almost imperceptible process the Indian currency will be placed on a footing which Ricardo and other great authorities have advocated as the best of all currency systems, viz.، one in which the currency media used in the internal circulation are confined to notes and cheap token coins, which are made to act precisely as if they were bits of gold by being made convertible into gold for foreign payment purposes." 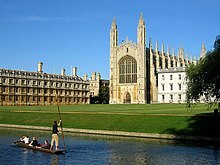 The love of money as a possession – as distinguished from the love of money as a means to the enjoyments and realities of life – will be recognised for what it is: a somewhat disgusting morbidity; one of those semi-criminal, semi-pathological propensities which one hands over with a shudder to the specialists in mental disease. All kinds of social customs and economic practices, affecting the distribution of wealth and of economic rewards and penalties, which we now maintain at all costs, however distasteful and unjust they may be in themselves, because they are tremendously useful in promoting the accumulation of capital, we shall then be free, at last, to discard. if expenditure on armaments really does cure unemployment, a grand experiment has begun,” Keynes declared in 1939. I predict that we shall never go back all the way to the old state of affairs. Good may come out of evil. We may learn a trick or two, which will come in useful when the day of peace comes. "love of money [as] a somewhat disgusting morbidity, one of the semi-criminal, semi-pathological propensities which one hands over with a shudder to specialists in mental disease." "I still think the race (the jews) has shown itself, not merely for accidental reasons, more than normally interested in the accumulation of usury." Keynes' first academic article, "Recent Economic Events in India," published in 1909 when he was 26, marked the true beginning of his enduring intellectual love affair with matters of money. Generating "statistics of verification" linking Indian price movements with gold flows put him into a "tremendous state of excitement," he wrote to painter Duncan Grant. "Here are my theories -- will the statistics bear them out? Nothing except copulation is so enthralling. "All that is missing here is the information that it was Duncan Grant with whom Keynes was copulating. Keynes wanted fiat money created by the central bank. This was the heart of Keynesian economics in 1923. The Indian delegation is said to have been particularly outspoken, despite the fact that India was still then a colony of the UK. It’s not actually surprising that the Indian delegation was outspoken; this was one of the UK’s complaints about the conference. The problem was that the UK owed India money, and India wanted to get paid. 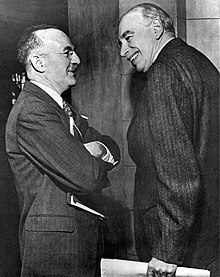 Of course what you read in the transcripts about the Indian debt conversations isn’t everything that went on – “These conversations were carefully stage-managed by Lord Keynes, Sir Jeremy Raisman, and Dr. White,” as one official of the UK Commonwealth office said after the conference. Deflation is not a death spiral as the Keynesians believe. Then, in his two-volume 1930 work, A Treatise on Money, Keynes devotes a great deal of space to banks and their important role in creating money. In particular, Keynes separates money into two classes: state money and bank money. State money is the high-powered money that is produced by central banks. Bank money is produced by commercial banks through deposit creation. Keynes spends many pages in The Treatise dealing with bank money. This isn’t surprising because, as Keynes makes clear, bank money was much larger than state money in 1930. Well, not much has changed since then. Today, bank money accounts for almost 82 percent of the broad money supply (M4) in the United Kingdom. it is the wealth of the people – not that of the government – that dictates consumption. But credit, aggregate demand for more stuff and animal spirits make for a volatile cocktail. I do know all the Keynesian models are wrong. I also know that the idea that a group of alleged economic wizards can sit in a room and divine the correct interest rate to achieve a dual mandate of low unemployment and high growth is absurd.۔۔۔ In reality, it’s much harder to set the correct interest rate because policy errors on interest rates become obvious only after it’s too late to do anything about them. The housing bubble is a classic example. "کینز کا یہ خیال بالکل غلط نکلا کہ اگر لوگوں کی جیب میں زیادہ پیسے ہوں گے تو کھپت بڑھے گی جس کی وجہ سے جی ڈی پی (ملکی آمدنی) بڑھے گی۔ پچھلے 30 سالوں سے ایسا نہیں ہو رہا۔ کینز کے ماڈل 1980ء میں مر چکے ہیں۔"
The Keynesian view that “more money in people’s pockets” will drive up consumer spending, with a boost to GDP being the end result, has been clearly wrong. It hasn’t happened in 30 years. The Keynesian model died in 1980. "The message unanimously churned out by politicians, central bankers, and ‘mainstream’ economists is that central banks are there for the ‘greater good’...However, unfortunately, nothing could be further from the truth." ↑ Stagflation: What Is It, What Causes It, and Can It Happen Again? ↑ Where Does Money Come From?